Imagine a crystal clear flowing river, surrounded by the mountains of the Travers Range and you will picture the idyllic scenery of Nelson Lakes National Park. 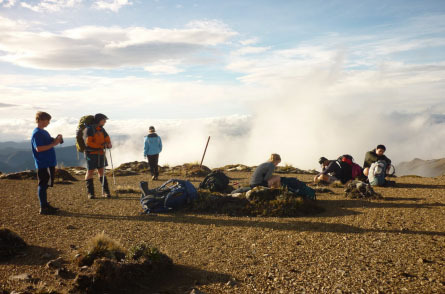 An eight hour day, the track follows the Travers River then ascends steeply from John Tait Hut to Upper Travers Hut. 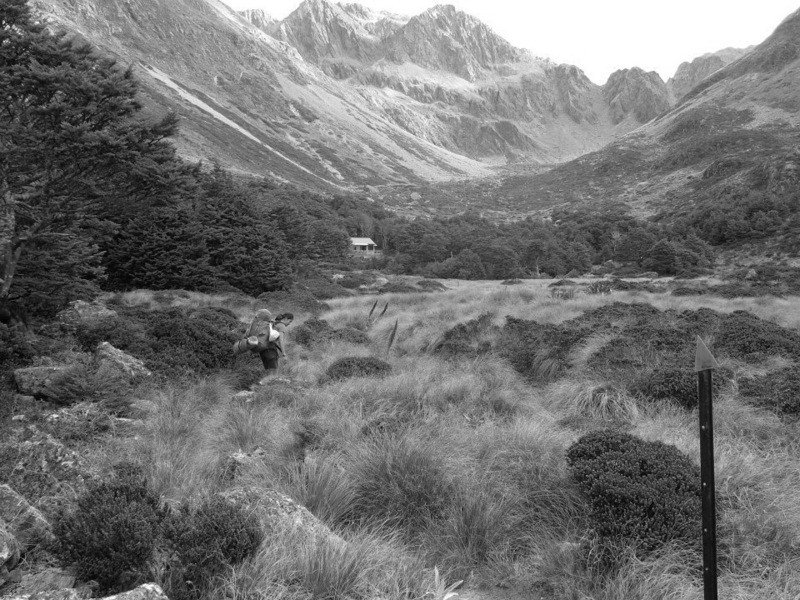 Located just out of an avalanche path, Upper Travers nestles in a tussock covered flat, with Mt Travers towering above. 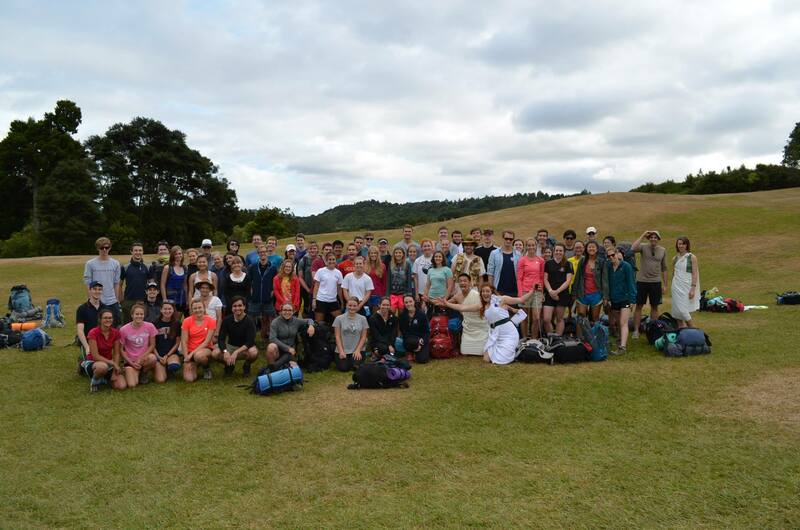 Here we met numerous adventurers walking Te Araroa. Our new idols, a Taiwanese couple, had cycled across the Australian desert, the length of the North Island, and were now embarking on Te Araroa with gumboots and baking supplies in tow. Our trip was a walk in the park compared with what they’d done! From Upper Travers there is a steep climb to the Travers Saddle. The panoramic views are pretty amazing. From the saddle there is a rapid 1000m descent down to West Sabine Hut, crossing tussock and rock screes. A brief lack of concentration could send you tumbling. Thank goodness I choose to do a backflip tumble off a tussock covered hill rather than a rock face! 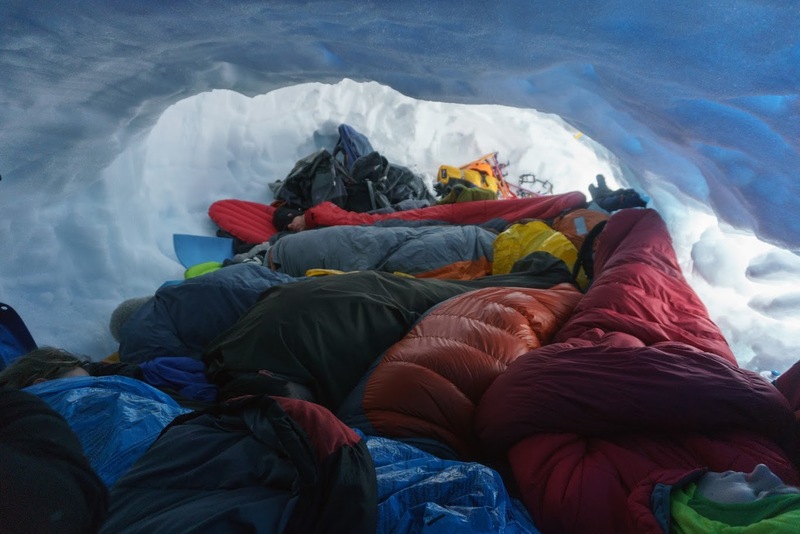 This sort of terrain divides trampers into two camps – those who prefer climbing and those who find it easier to descend. Laurien would have preferred to climb the saddle on the Sabine side for an easier descent. I fiercely disagree! Hands down the highlight of the trip was the day walk (7 hours return) to Blue Lake. While this adds an extra day to the circuit, it is simply not to be missed. With only a day pack, the walk up to the headwaters of Sabine River was ace in every way. Blue Lake is stunning. Containing the clearest fresh water in the world, the water clarity is close to that of distilled water! Unbelievable! 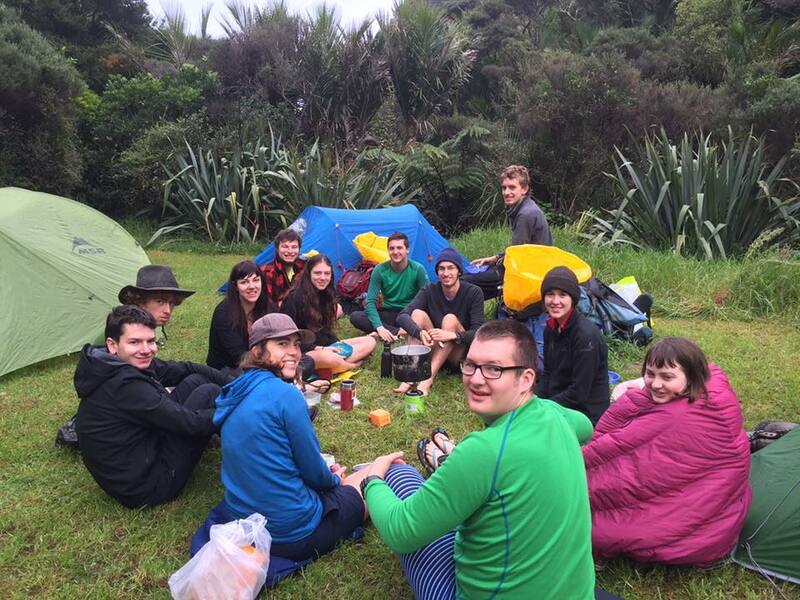 The lake is tapu, and a spiritual vibe is definitely present. The quick walk up to Lake Constance was also worthwhile. The last two days might feel like a long walk out but the view of Lake Rotoroa at Sabine Hut made the five hour walk from West Sabine worth it. The last day via the Speargrass Track passes delicate wetlands and interesting forests. At the end of it all, my one t-shirt was caked in dried sweat and salt, but also the sense of accomplishment. 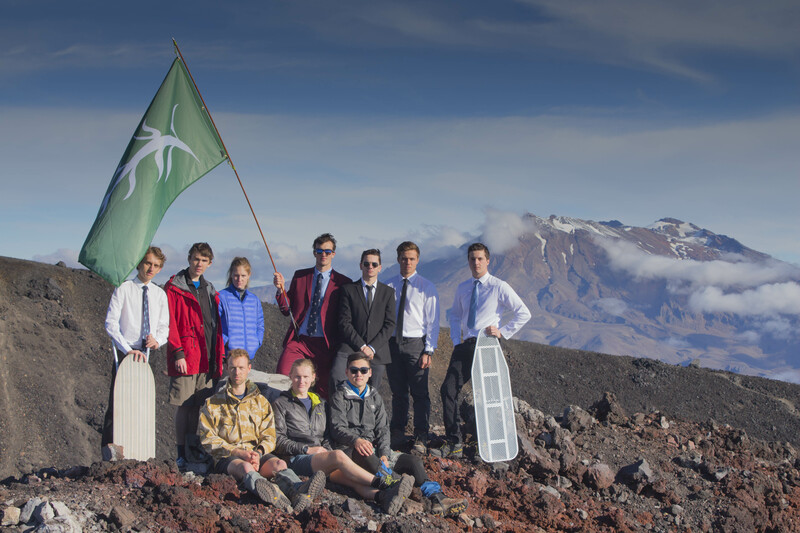 • I survived my first six day hike and there was no need to activate the EPIRB – phew! • One subject dominates my thoughts on long tramps – FOOD. 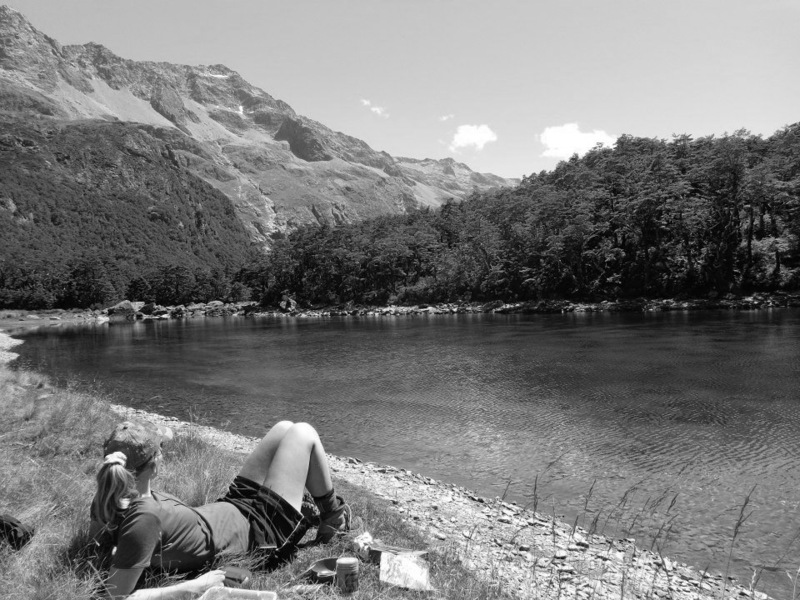 • A return trip to walk the popular Robert Ridge to Lake Angelus is definitely on the cards.